The night pretty much played out like planned. Every movie that was nominated for a Best Picture award walked away with an Oscar. Here are some of the major highlights from the night. The first award of the night could have been written into the script, it was that predictable. 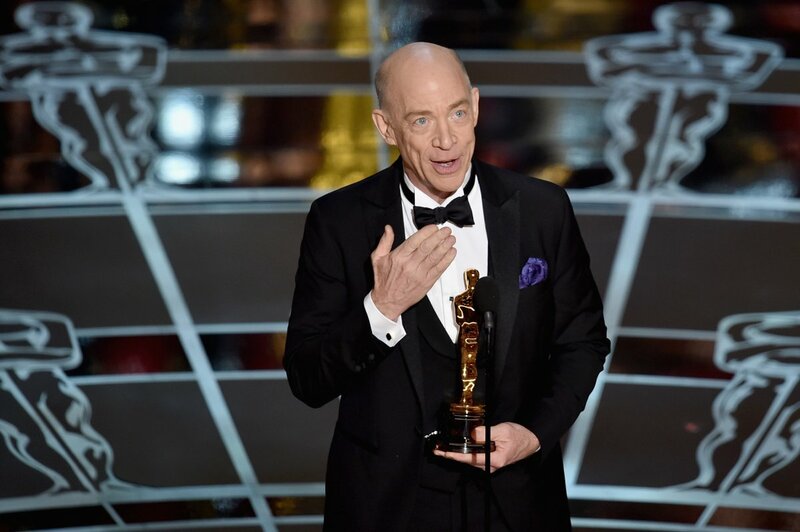 J.K. Simmons took home the award for Best Supporting Actor for his incredible and intense performance in Whiplash. Simmons swept this category all through awards season. If he had lost this award, it would have been a major shock. After the Best Supporting Actor category was announced, The Grand Budapest Hotel went on a winning streak. Anderson’s quirky film took home back to back awards in Best Costume Design and Make-Up and Hairstyling. They ended up taking home four awards by the end of the night, including Best Production Design and Best Score. NPH came back out to try to get the audience rolling, but not everyone was willing to play along. He had some hits, but mostly his material fell short leaving the audience a little bit bored and hoping for more. The next big award welcomed Patricia Arquette to the stage as she took home the award for Best Supporting Actress. Arquette, whose role was a twelve-year commitment, took this opportunity to make an impacting speech. Arquette spoke about woman’s rights in film and equal pay. Meryl and JLo definitely agreed. Common and John Legend then moved the audience to tears with their moving performance of “Glory” from Selma. 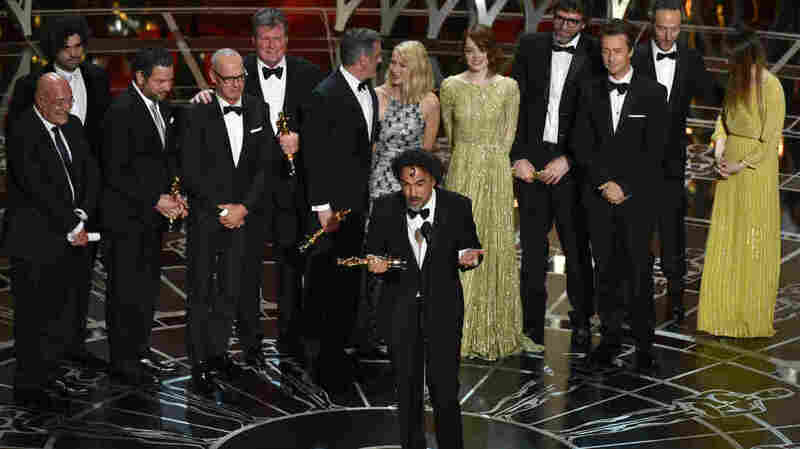 After much controversy about Selma being snubbed, this was a HUGE moment for the film. And boy, did they deliver. Many members of the audience were left crying and overwhelmed with emotion. Common and John Legend ended the night by taking home the award for Best Song. Truly an honor they deserved. 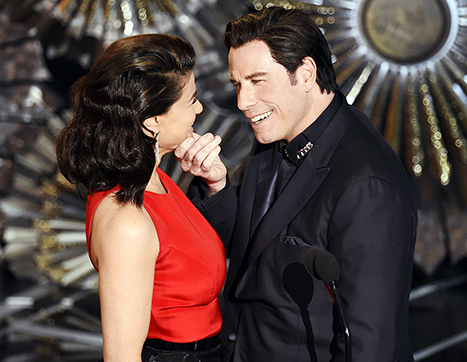 Another highlight of the show was when Idina Menzel was finally able to get her revenge on John Travolta. She gave him a new stage name making up for his flub last year. Well goodbye Adele Dazeem, and hello Glom Gazingo! The moment was a little awkward, but necessary. Other major highlights of the night included the tribute to The Sound of Music from Lady GaGa, screenwriter Graham Moore inspiring people all around the world with is acceptance speech, and The Lego Movie’s performance of “Everything Is Awesome.” Check out all of the videos below. Finally the big awards of the night arrived. The two screenplay awards were given to The Imitation Game for Adapted Screenplay and Birdman for Original Screenplay. (So I got one right on my Oscar predictions!) Linklater was beat out in the Best Director category by Inarritu giving Birdman the advantage going into the Best Picture category. 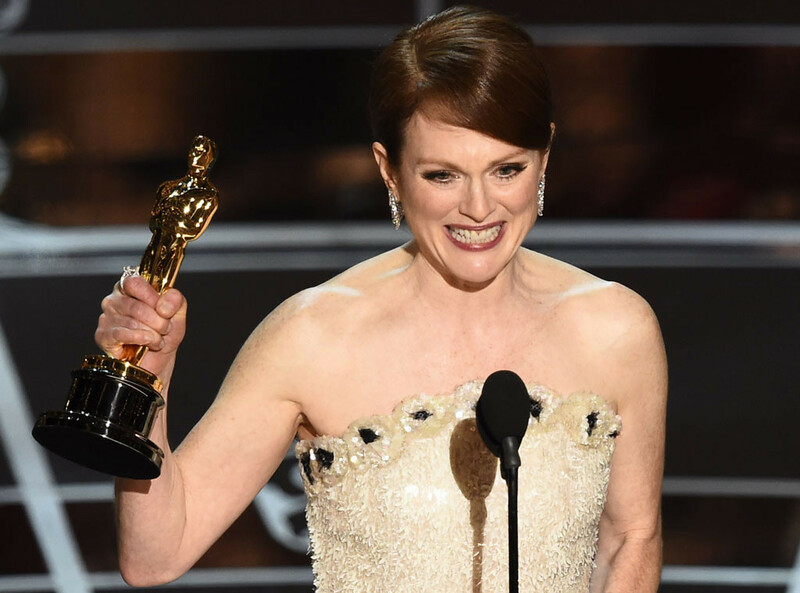 Best Actress went to Julianne Moore, proving her previous four other nominations were worth it. Moore made a lovely speech and was truly deserving of the award after all of these years. Eddie Redmayne was able to beat out Keaton and Cooper and took home the award for Best Actor. Eddie was still super surprised and extremely giddy. He also promised to take good care of his actor!! Watch his emotional and adorable speech below. Then there was one award left! At the beginning of Awards Season I would have bet money that Boyhood would have walked away with Best Picture. Throughout the season however, Birdman caught up winning the PGA and DGA’s major honors. The 12 year project fell short and Birdman was able to soar away with the win!! I personally enjoyed Boyhood better, but Birdman was still deserving of the award. And with that award season is OVER! Only time will tell what movies will be nominated for next year. Here’s hoping for more women in film, more diversity, and of course, more JLAW! !